Ah! With a house full of young people and many more visiting, things are boisterous and full of life. But it also means that things are well used, and in the process of wear and tear, they fall apart and need replacing. 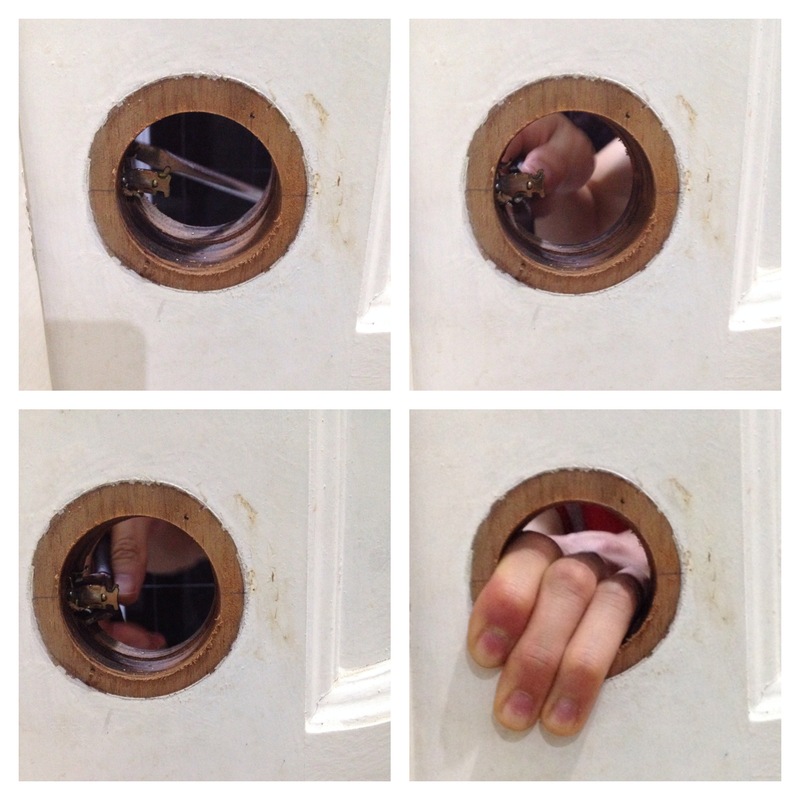 Apart from the door handles in our house coming apart (see photo collage below) we have had other maintenance issues…. The latest is the flooring in parts of our house. They are coming off and require special adhesives to ensure they stay down. Then there is the gate – despite having had a coat of paint seemingly not so long ago. I will want to put another on. Perhaps I can persuade my now-at-home son to pick up D-I-Y….. This entry was posted on 02/01/2014 at 20:24 and is filed under House, Household. You can follow any responses to this entry through the RSS 2.0 feed. You can leave a response, or trackback from your own site.